The Chief Minister Punjab, Pakistan has establish the public e-Khidmat Markaz. The concept is to integrate all such services under one roof from where citizens could avail unhindered and easy access to governmental services. e-Khidmat Markaz concepts to integrate fifteen governmental services under one roof for citizens. 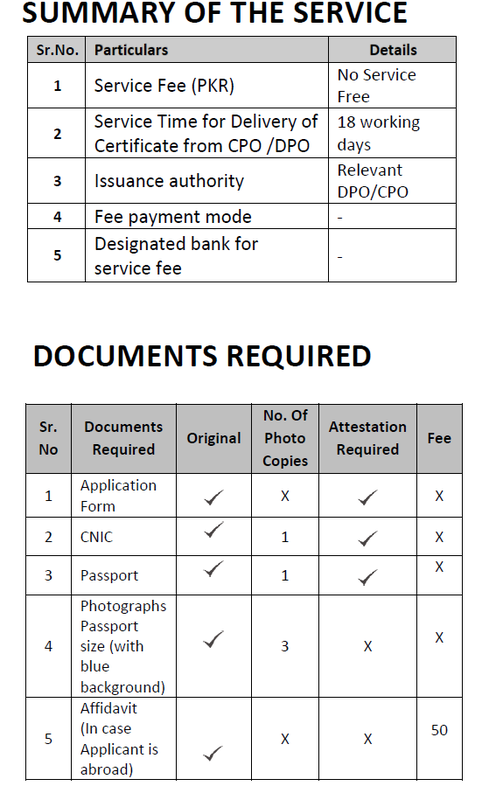 In order to apply for the Character Certificate at e-Khidmat Markaz Punjab, Please find below the required procedure /Steps along with the list of the documents required. You can track Character Certificate application using CNIC at our website or using the mobile App of e-Khidmat. You can also track by calling on our toll free number 0800-09100 and through our SMS Gateways 9100.